Parks of various shapes and sizes are so important to the urban runner, they allow us to get us away from the roads and run without fumes and without the disruption of rhythm and pace from crossing roads. 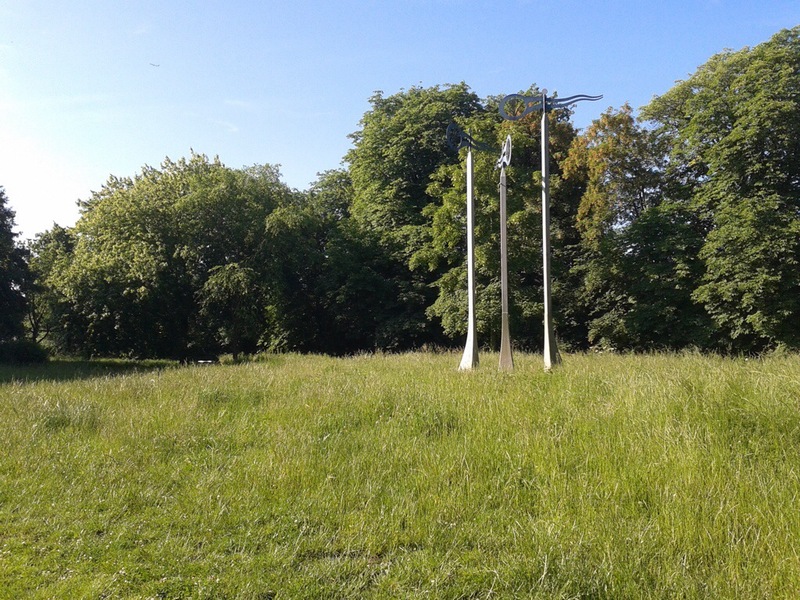 Virtually all my day time runs involve plenty of parkland; so for a blog on running and local history, it seems like an obvious subject matter. 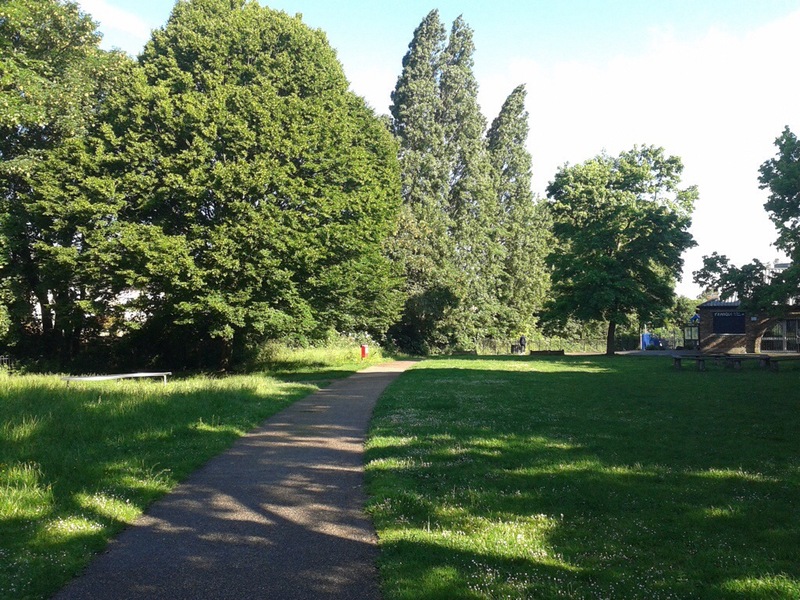 Manor Park is not the obvious place to start though; it is a narrow strip, around 400 metres long and 50 wide flanked by The Quaggy and the large Victorian houses of the eponymous Manor Park. It isn’t even a park with a long history its usage as a public open space only going back to the mid 1960s on the site of a former pig-farm and bomb damaged house. It is a pleasant calm, green space which is well used, although not overused, with colour coordinated planting and a path alongside the river which I use 2 or 3 times a week. It was a park that oozed neglect, the paths were rutted and required care when running across, poor grounds maintenance had allowed Japanese knotweed to take over in places and The Quaggy was encased in a concrete channel which was a barrier rather a natural resource and seemed largely devoid of birdlife. There had been an aviary in Manor Park in a building that pre-dated the park as late as the early 1990s, but it was abandoned following a fire and the corners of its brick building, to which the path hugged, provided uncertainty for the unwary runner. From mid-morning the main park users seemed to be the ne’er-do-wells who used to congregate in the remains of the playground. I have been threatened when running in the pre-restoration Manor Park almost as many times as every other location combined. All this, along with unpredictable opening times and haphazard decisions as to whether to open a gate at both ends of the park or just one meant that I gave up on Manor Park for years. It was also a park that lived under the shadow of another older, bigger local park – Manor House Gardens, with which it is sometimes confused. The size of the shadow increased in 2000 when the Heritage Lottery Funded restoration of Manor House Gardens was completed. Manor Park had to wait for its upgrade until 2007 with funding from the same source as well from the Environment Agency as part of a major scheme to reduce the flood risk posed by the Quaggy. The banks of the river have been opened up, wildflower meadows created, the ‘gibbets’ have been replaced with a larger and improved play area, and a third entrance with a new bridge over the Quaggy has been created. Birdlife has returned to the river and I have seen the iridescent blur of blue and orange of the kingfisher flashing above the surface of the Quaggy. With CCTV and a much greater park-keeper presence, it has become a much safer environment for the runner, and everyone else for that matter. 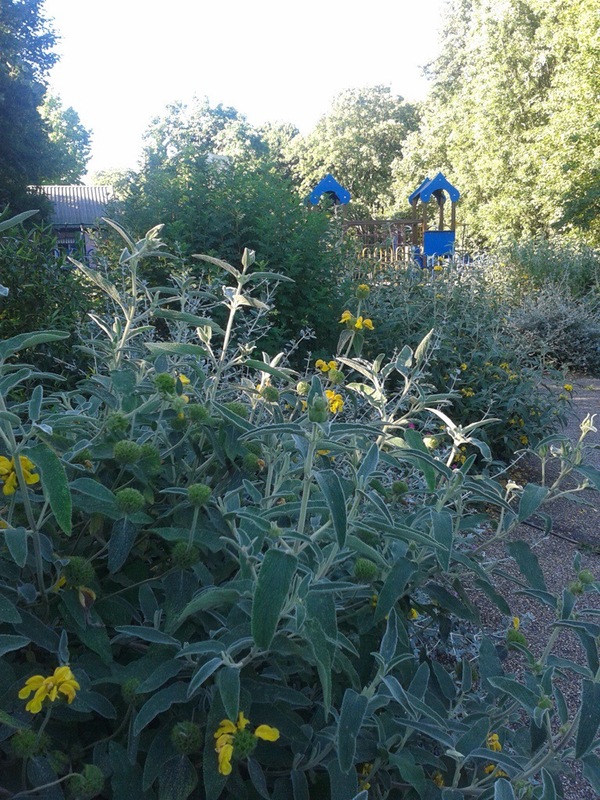 2015 has seen park usage increase considerably with opening in the spring of the Lewisham Arts Cafe, run by by local artists Banu and Fred Schmid, the park has become a focus for a wonderful array of arts based activities. This entry was posted in Lewisham History, Parklife and tagged Environment Agency, Manor Park, Quaggy on June 26, 2014 by Paul B.